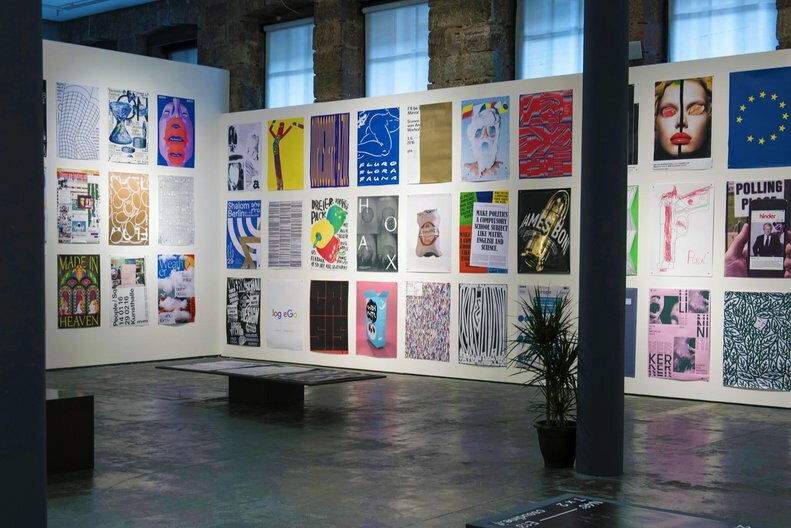 Graphic Design Festival Scotland returned for its third year, bringing together creatives, consultancies and enthusiasts from a variety of different disciplines to debate and engage with the topics of creativity, innovation, and design thinking. Running from 17-23 October this year’s festival at the Lighthouse in Glasgow was Scotland’s largest design event - focusing largely on learning and collaboration, with opportunities to attend workshops with big name consultancies such as Wieden + Kennedy as well as being able to work on live projects with international design studios. “Participation is at the core of the event, which we believe makes it more engaging, more personal, more memorable and more valuable,” said GDFS organisers, Beth Wilson and James Gilchrist. While the focus initially was on the wealth of talent within Scotland’s burgeoning design sector, this year’s festival has taken on a more outward looking, international approach. The international showcase of poster art is open to the public and runs until the end of November. 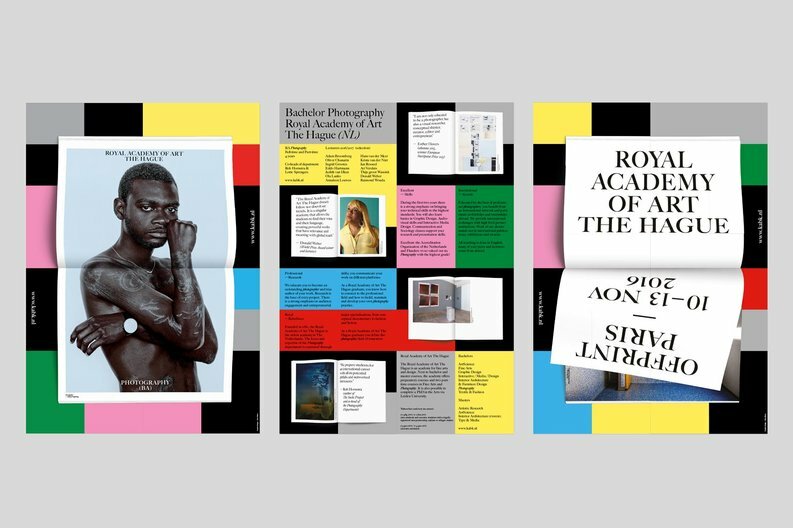 It features winner Koos Breen who received first place and £500 for his poster series for the Royal Academy of Art The Hague promoting its presence at publishing fair Offprint Paris. New this year too were the New Worlds conference and panel discussion which played host to four speakers from Emblemmatic, The Future Laboratory and Wikihouse - consultancies noted for their focus on new technologies and ways of thinking within the design industry. 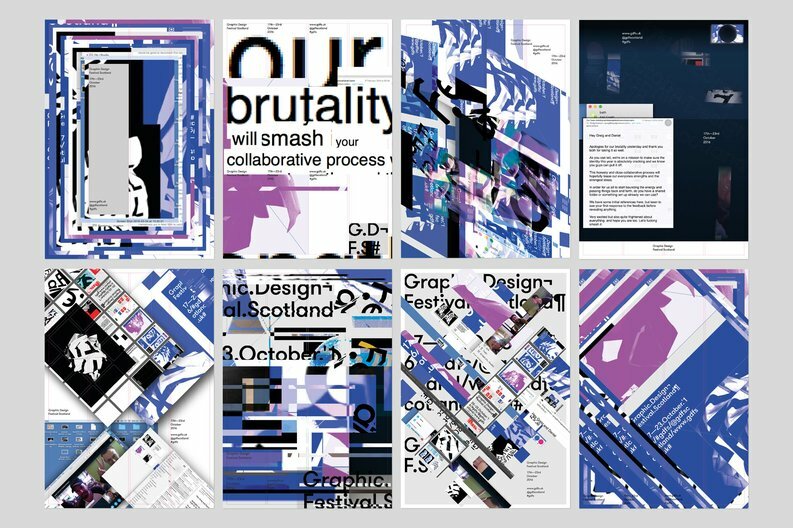 Wilson and Gilchrist also worked with Glasgow studio Freytag Anderson to create an open-source identity for the festival and are inviting others to rework their designs to create their own posters. “We want to create something which is more than a functional identification tool for the festival, but something which is living, evolving and can represent the raw energy and creativity that the festival provides,” said Gilchrist and Wilson. The event’s international feel is testament to the efforts of Wilson and Gilchrist since GDFS’s first iteration in 2013. Borne out of their frustrations at the lack of festivals outside the UK’s capital, in just three years the Edinburgh College of Art graduates have managed to secure their event as one of the most anticipated graphic design get-togethers in Britain. “There was a huge amount of luck at the beginning,” the pair admit, but their desire to never settle for second-best has given the event a profile that far out-stretches its DIY foundations. “I think setting a high standard from the beginning has been integral to the success of GDFS,” says Gilchrist. On general display at the Lighthouse is also an exhibition of commissioned and self-initiated work from Copenhagen design studio Puptput, which includes photography, sculpture and some unusual inventions, as well as an audiovisual installation created by Design Displacement Group, a collective set up with the aim of exploring design in new and unusual ways.